The venue for this weekend’s match pitting Gor Mahia and Muhoroni has now been changed to City stadium. This occurred after Muhoroni were unable to secure Nyayo stadium which apparently is under repair. The game was switched away from Muhoroni’s home ground in part due to its inability to host big games and in part due to Muhoroni’s desire to rake in larger amounts from gate collections. Afraha stadium which was the other option is unavailable to Muhoroni apparently because the last time Muhoroni hosted a game there, they did not pay stadium fees. The switch to City stadium has elicited protests from both AFC Leopards and Tusker. The Muhoroni Youth vs Gor Mahia FC match has been moved to Nairobi and will now be played at the Nyayo stadium on Sunday afternoon and not Muhoroni. According to Muhoroni Youth FC team chairman Moses Adagala, the decision to over the match is mostly due to security concerns. Tickets will be sold at the match venue on Sunday but the officials are yet to tag the price with this expected to be announced by Thursday. On 27 points, Muhoroni Youth targets to collect maximum points from their remaining two matches including the one against Gor Mahia on Sunday so as to be assured of relegation survival and Adagala has labeled the match as a must win for his boys. “Nyayo stadium is always a good hunting ground for us and the boys are excited that we have moved the match to Nairobi.” He adds. The dates for the 2012 FKF cup have been set. The stakes are huge. To begin with, the winner earns the right to play in the 2013 CAF Confederations cup. Secondly, 3 of the 4 teams left have a chance to secure a double i.e League and cup. This is something that has not happened in Kenya in a long time. Gor Mahia who scraped past Muhoroni on penalties will play arch rivals AFC Leopards who beat Karuturi sports club. The match is scheduled for Nov 18. In the other Semi final, Sofapaka will face Tusker. Gor Mahia are back on top of the Premier League table after a 1-0 win over defending champions Tusker FC in an entertaining match played at City Stadium on Sunday afternoon and graced by among others Prime Minister Raila Odinga and boxer Congestina Achieng. Tusker won the first corner that was easily cleared by Gor defense. Then it was Gor Mahia’s turn when Anthony Akumu’s pass to Moses Odhiambo was intercepted for a corner that Sserunkuma had a poor touch of. Chris Wekesa was next on the firing line. His left foot shot forced Boniface Oluoch to a fine fingertip save. In the 8th minute Tusker won their second corner. Joseph Emeka’s well-placed header went straight to keeper Jerim Onyango’s gloves. In the 12th minute, Ugandan Dan Sserunkuma brought ‘Tok Komwanda’ alive with a strong shot forcing keeper Boniface Oluoch into a fumble that would gift Gor Mahia the lead. Keeper Jerim Onyango then twice came to Gor Mahia rescue.First Patrick Kagogo aimed with a long cross that he punched then Ken Wendo followed up with a ferocious shot that he also saved. Both coaches then made a substitution. Tusker’s Joseph Emeka was pulled off for Joshua Oyoo while Gor brought in David Owino for Donald Mosoti. Six minutes to the break, Dan Sserunkuma latched on to a pass from Moses Odhiambo before unleashing a stinging shot that Boniface Oluoch saved. Tusker’s Patrick Kagogo made way for Joseph Mbugi immediately after the restart before Tusker went into attack mode. Ivan Anguyo’s back pass header caused a scare at Gor Mahia backline but Jerim Onyango intercepted before the marauding Ken Wendo could pounce. Ali Abondo cross in the 52nd minute was spilt by Boniface Oluoch for a corner that went begging. Robert Matano then decided to charge up his arsenal with David Nyanzi coming on for the unusually quiet Dennis Mukaisi. Anguyo’s 62nd minute shot from a loose ball gave Boniface Oluoch another chance to prove why he is an international keeper. In the 64th minute,a foul on an advancing Joshua Oyoo by David Owino won Tusker a free kick at the edge of the box but David “Cheche” Ochieng header went over the bar. A minute later, action was on the opposite end. Edwin Lavatsa would had doubled the lead but Oluoch was alert to save the deflected shot. 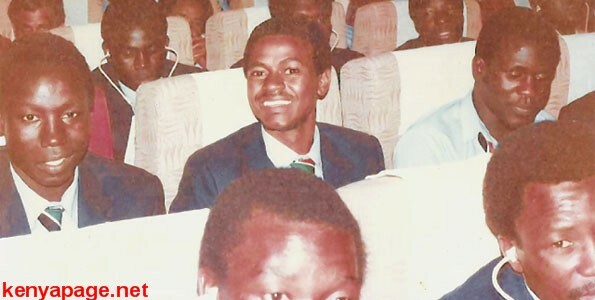 Coach Zdravko Logarusic then brought in Kevin Omondi for Joseph Njuguna. Ken Wendo was presented with a good opportunity in the 72nd minute but he could not keep his shot low. A one on one situation then ensued on the other end. Lavatsa picked a cross from Serunkuma but defender Shikokoti managed to close him down and ensure his shot never troubled Oluoch. Logarusic’s last dice was Moses Otieno who came on for Moses Odhiambo.Four minutes to the end ,Jerim Onyango pulled a fantastic save to deny Peter Opiyo who had chiseled a great shot. Any spill would have been an early Christmas gift for David Nyanzi who lurked inside the box. The result means Gor Mahia who now have 55 points just need to win their two remaining matches to be crowned champions. Tusker and AFC Leopards are tied on 54 points. Tuskers next match is a trip to Western Stima then a final match against City Stars.Gor Mahia will visit Muhoroni before winding up their campaign at City Stadium against Thika United. Kenyan Premier League (KPL) side Gor Mahia and their sponsors Tuzo are pulling in different directions. At stake is a multi-million shilling sponsorship deal which threatens the survival of the premier club. The tug of war is as a result of claims of breach of contract by the sponsors who are accusing Gor Mahia of entering into a merchandising agreement with a local media house to sell replica jackets. Brookside Dairy General Manager in charge of sales and marketing Elias Ocholla said they have documentary evidence the club breached its contract with the firm. “There exists documented evidence that our sponsorship contract signed between Brookside Dairy and Gor Mahia has been subjected to well founded breaches, and that the existence of the said breaches has been acknowledged to us,” he said. He further said Gor have failed to address the concerns raised by the firm despite promising to do so. “No tangible progress has been realised in these efforts over the past two months. We have tried to exercise patience with the club, as it is our conviction that matters affecting both parties can be resolved amicably,” he said. He assured that Brookside Dairy are committed to the continuation of the sponsorship with Gor Mahia if the club ceases all promotions outside the ambit of the current contractual agreement with them. He took issue with the statement by Gor coach Zradvko Logarusic regarding the matter insisting that such matters should only be handled by club officials. “ We expect mutual goodwill at all times, and are of the opinion that administrative issues affecting both parties should henceforth be handled only by officials with management mandate,” he said. But Gor Mahia secretary George Bwana denied that the club breached any agreement with Tuzo insisting the contract only bars them from associating with a milk processing firm – a direct competitor of their sponsors. When our sponsors raised the issue, we made frantic efforts to meet them and explain why we accepted the new deal. After that meeting it was resolved that we write to the media house and ask them to stop the promotion on jackets. “This meeting also agreed that upon writing the same letter which we did, our sponsors would release the salaries but this is yet to happen and it appears they are playing games with us. “We assumed that Tuzo would be happy to partner with a media house to promote the team especially considering that the money we get from them is not even enough to cater for all our needs,” said Bwana. Gor Mahia vice-chairman Faiz Ochieng admitted that the club was wrong by entering into a merchandising deal without the approval of the current sponsor and revealed that it has been cancelled. “We are grateful for the support we have received from them and we cannot throw it away for something that is just temporary,” he said. Ahead of the crucial Tusker Premier League (TPL) assignment with Tusker on Sunday 27 October at the Nairobi City Stadium, there has been talk in the local football scene that Gor Mahia players’ salaries have not been paid for two months. The reason for the lack of pay has been reported as a standoff between the club and sponsors Tuzo, emanating from the association with the Tokelezea na Jalee promotion and the club’s vice chair Faiz Ochieng acknowledges the dairy firm has not remitted the salaries. He, however, added that the players have been paid in full with finances acquired from other means and told futaa.com that all the allegations of non payment are ploys by detractors to see the team destabilised ahead of the crucial game. -I have to acknowledge that it is true Tuzo have not paid our players salaries for two months but that doesn’t mean the players have not been paid – our players are fully paid up by money got from other sources. -When this Tokelezea na Jalee issue is over, Tuzo will remit the payments so I am calling on the detractors to keep off Gor Mahia affairs; this is a scheme to see us destabilised at this crucial stage, he said. With less than six months before Gor Mahia’s contractual engagement with sponsors Tuzo comes to an end, it now appears that there is disquiet within the club as the sponsors are said not to have paid players’ salaries and allowances for the last two months. According to Coach Zdravko Logarusic and his assistant John Bobby Ogolla, the players are crying out as they are less motivated with the fact that their monies have not been remitted as agreed. In protest to this, Gor Mahia players put on bibs on top of their jerseys when they played the friendly match against Sofapaka at the City Stadium. “We do not want to become the second Rangers. Gor Mahia is a big club and I think we need a serious sponsor; a sponsor who will grow with us and grow with our success. As far as I am concerned Tuzo are business people who are not football orientated. I have talked to the management and the players have been begging me to talk to them. We need a serious sponsor on board,” Coach Zdravko Logarusic said on Wednesday morning. According to Team Captain Jerry Onyango who did not want to indulge much in the affair, the players’ September salary was paid by the Chairman from his own pocket. “Of course we are disappointed that we have not received our salaries. The Chairman paid us from his own pocket last month and we do not know what is going to happen this month. However, we want to do our part as players and give our all in the remaining three matches,” Jerry said. “The players are suffering and at this stage we are in as a club, we cannot be doing that. We won the KPL Top 8 tournament and the sponsor never even appreciated us. The Tuzo Logo was all over the media but they never even gave 100 Shillings per player to say congratulations,” Logarusic laments. Speaking separately, Club Secretary General George Bwana said they are also disappointed but are working on the situation at a managerial level. “We are talking with them and we hope we are going to have some solution to this. Of course we are disappointed also but I want to assure everyone that we will find a solution to this,” Bwana says. The Gor-Tuzo contract is set to expire in April. Zradvko Logarusic also insisted Sunday’s results will not determine who wins the league predicting it will go down to the wire. “It is a normal match for us with no implication on where the title goes. Our opponents have two tough matches away and may still have to wait till the last day of competition to be sure of the title,” he said. Logarusic insisted that among the two teams, Gor are the better side if one looks at the previous results. “We have had one of the best results in the recent past. We don’t rely on one particular player but work well and better as a team and this remains our strength. He also dismissed complaints by Karuturi coach Michael Nam that his side was awarded a dubious penalty on Saturday insisting the referee was near the action when he pointed to the spot. “He was standing very near where the incident took place and was the only one who could make the right decision,” he said. Logarusic challenged his Karuturi counterpart to say how many chances his team had on Saturday. “Everyone watched the match and he should tell us the number of chances they created before complaining about the referee,” he said. Gor won the match 1-0 but Karuturi coach was left fuming after his team conceded a penalty in the last minutes of the match. Gor Mahia vice chair Faiz Ochieng’ feels that they [K’ogalo] need to be consulted before playing a Tusker Premier League double-header. This comes barely two days after the TPL giants featured in a weekend double-header, at City Stadium that saw Gor pip Karuturi Sports 1-0 as Mathare United defeated Oserian with the same margin. According to the official, they are not pleased with the double-headers, hence other teams should seek alternative venues. -We must be consulted first and not only to be handed double-headers. -In future, we don’t want double-headers. The other teams should seek alternative grounds, said Ochieng’ to futaa.com. 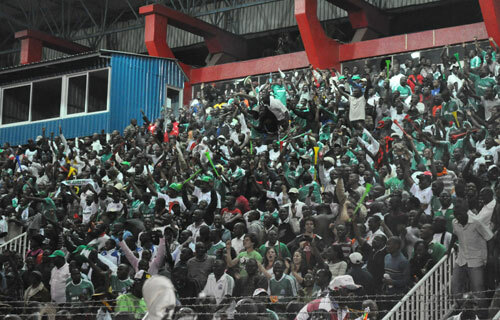 In Saturday’s double-header a total number of 4287 tickets were sold raising Kshs 1, 124, 100. With three matches to go, Gor are ranked second on the log, two points below leaders Tusker.